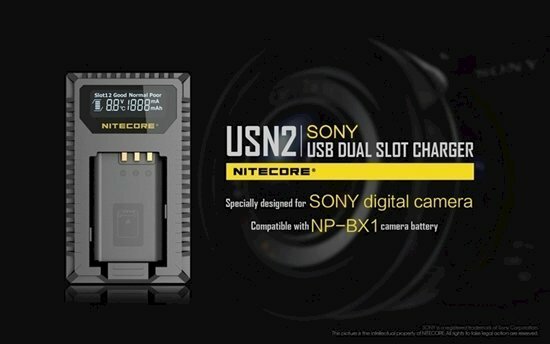 Charge your batteries with the usn2 Sony USB dual slot charger for np-bx1 battery from Nitecore. This compact and portable charger is compatible with multiple power sources that accept the USB input cable, which is stored in a slot on the side of the charger. It is capable of charging two batteries within two hours. During the charging process, the LCD will display battery status, charged volume, battery temperature, and battery level along with battery health detection, which indicates good, normal, or poor. Also, batteries with circuit protection activate the charger's over discharge from improper use, and against reverse polarity and anti-short circuit protection. 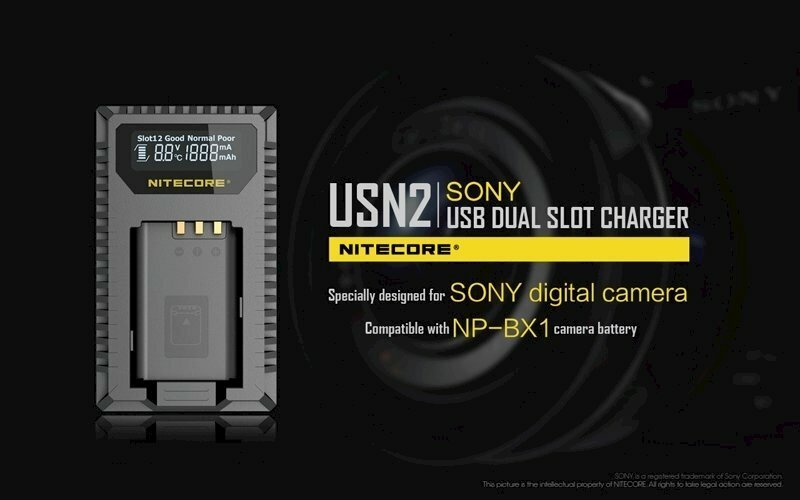 In addition, the usn2 is constructed using durable and fire retardant pc and abs materials.